Here are fun things to do in Malta that are perfect for all adventurers including families. There are numerous opportunities to learn about the 7,000 years of history that dates back to the Neolithic period. You can explore several World War Two museums, walk through an air raid shelter; gaze at classic cars and even sail the deepest natural harbor in the Mediterranean Sea. There will be opportunities to step inside highly adorned cathedrals, walk the streets of a UNESCO World Heritage Site while viewing interesting Baroque and medieval style architecture as well as visiting several filming locations on the island. Other options can have you spending time at Neolithic temples, viewing natural wonders and you will be in awe of the fortresses that still stand guard over the island. 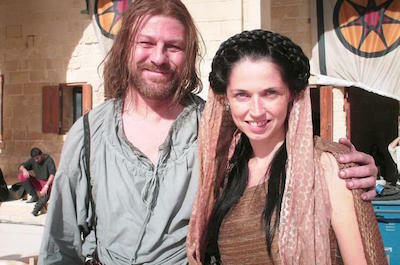 One of the best things to do in Malta for families and movie buffs is to take a Game of Thrones Filming Locations Tour in Malta. You will be excited to see exactly where this highly acclaimed television series has been filmed throughout the island of Malta. You will spend time in places like the Three Villages and visit the Presidential Palace as well as walk the gardens of King’s Landing. As you travel you will see the Tower of the Hand and the fortress of Maegor’s Holdfast as well as the Shadow Cliffs. Once in Mdina you can enjoy viewing the King’s Gate, Tobho Mott’s blacksmiths place as well as the Baelish Brothel and in Rabat you can stroll through the monastery that was home to Red Keep. Taking a Cruise and Water Tour is a great thing to do in Malta when you want to explore as much of the Mediterranean Sea as you can while viewing incredible sights on distant land. These excursions are perfect for families and adventurers that want to see places like the Grand Harbour where you will view the Three Cities-Vittoriosa, Senglea and Cospicua as well as the UNSECO World Heritage Site of Valletta while cruising on the deepest natural harbor in the Mediterranean Sea. Other options have you sailing to Gozo and Comino where you can visit the Blue Lagoon or if you are looking for a fun and lively time then try the Lazy Pirate Party Boat. 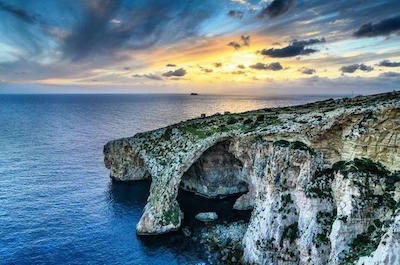 There are numerous Day Trips that are an excellent thing to do in Malta for all types of travelers including families that will have you smiling as you explore this ancient area of the world. These excursions are perfect for viewing historic buildings like the Rotunda of Mosta, natural wonders such as the Blue Grotto and you can even travel back in time while seeing the Neolithic temples at Hagar Qim. You can choose to spend a day at Mdina, the island of Gozo or even visit the Ta’Qali Crafts Village and the colorful boats while shopping at the Marsaxlokk Market. One of the more interesting things to do in Malta for travelers who want to learn more about the British history of the island is to take a Vittoriosa and Valletta Full Day Second World War Tour. 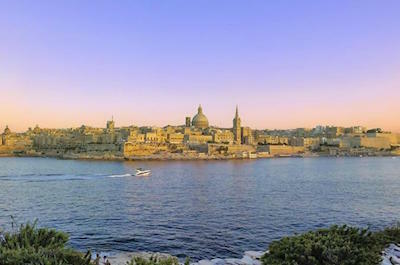 These excursions will have you visiting two iconic cities of Malta where you will spend time in museums, view historic forts and view the largest natural harbor in the Mediterranean Sea. You will be intrigued with learning about the Second Great Siege of Malta as you walk through air raid shelters and you can view the Queen Elizabeth Statue as well as a statue of Winston Churchill which is in a beautiful garden. One of the more haunting things to do in Malta at night for those who are interested in learning more about the paranormal world of Valletta is to take a Ghost Tour. 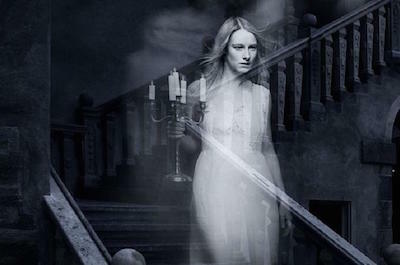 You will be terrified as you walk the streets of this medieval city where you will learn about ghosts such as the Priest of Republic Street or view the frightening house of Saint Ursula. As you stroll along you will learn about murder plots, public executions and you can take a glimpse of St. John’s Co-Cathedral where there is a ghost. 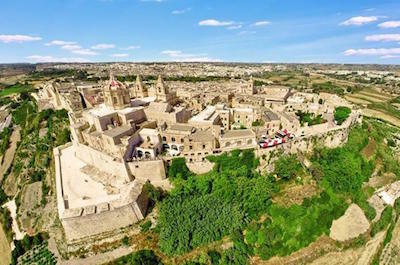 When you want the luxury of viewing numerous sights at your own pace and learning interesting facts about the island of Malta on your way to your next adventure then an ideal thing to do in Malta is to try a Hop-on Hop-off Tour. 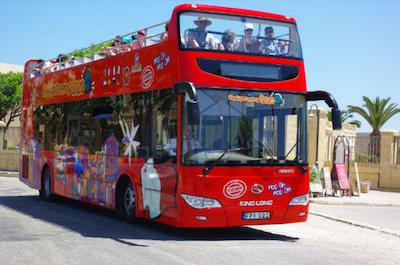 You can choose to ride the double deck buses around the islands of Malta or Gozo and there are several routes to choose from that will allow you the opportunity to actually see what you want to see. These excursions are perfect for people who like to make their own agendas while on vacation and allow for the flexibility of spending more time learning as well as viewing your favorite spots. 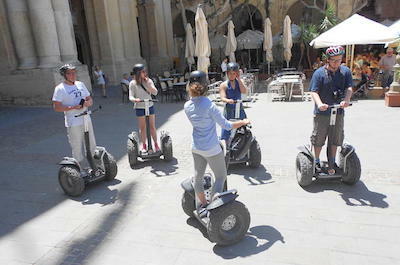 If you are searching for a fun and relaxing way to see the sights in Valletta then a superb thing to do in Malta is to take a Valletta Segway Tour. 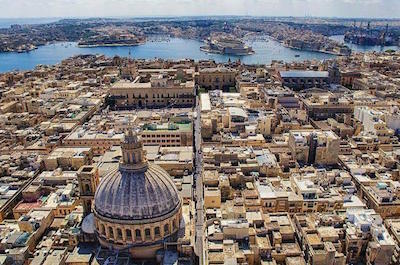 You will be thrilled as you glide around the streets of this UNESCO World Heritage Site viewing the gorgeous Baroque style buildings and stopping at places like the St. John’s Co-Cathedral, the Lower Barrakka Gardens as well as the Valletta Waterfront. Segways are a great way to save energy while you navigate the city streets and learn about the interesting history of this historic city. Sightseeing Tours are one of the best things to do in Malta when you want to learn more about the intriguing history of Malta and view incredible places from historic castles to churches to natural wonders. When you take one these excursions you will be thrilled to visit places like Rabat, Mdina, Valletta, Gozo as well as Neolithic temples such as Tarxien. Other options include a trip to San Anton Gardens, Fort Rinella and you can view the wonderful architecture of St. John’s Co-Cathedral as well as the Grand Harbour where the 1565 Great Siege of Malta took place. When you are ready to go for a stroll and view the interesting architecture as well as the intriguing history of Malta then the perfect thing to do in Malta is to try a Walking Tour. 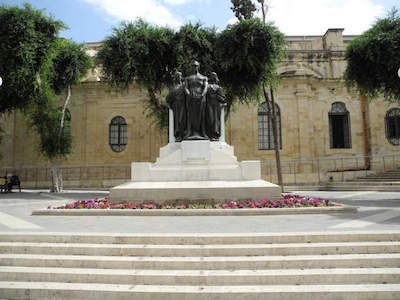 These excursions will take you to the most interesting spots in Valletta and Mdina while you can choose from a variety of themes such as historic architecture, World War Two, the Knights of St. John and more. As you walk you will see some of the world’s best Baroque style architecture and learn fascinating tidbits of information about Malta’s 7,000 years of history. 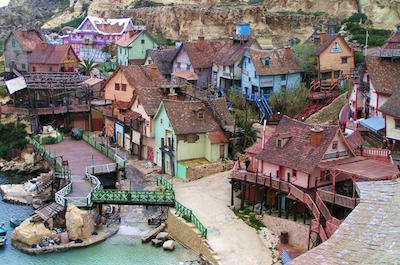 One of the most popular things to do in Malta for families and people young at heart is to visit Popeye Village. Located in Anchor Bay, Popeye Village was constructed in 1979 and contains 19 wooden buildings that were used for the filming set of the musical production of Popeye. Today Popeye Village is loaded with fun entertainment for families which include boat rides, water trampolines, Santa’s toy town and sun bathing decks. The grounds are filled with entertaining characters like Popeye as well as Olive Oil and you can indulge in an once-in-a-lifetime filming opportunity with an animation crew that makes you the star for the day. If you are searching for entertainment whether that is shopping, dining or live music the best thing to do in Malta is to make a trip to the Valletta Waterfront where you will find Pinto Wharf. Located in the Grand Harbour, the Valletta Waterfront was originally constructed in the 18th century with 19 buildings that have Baroque style architecture. 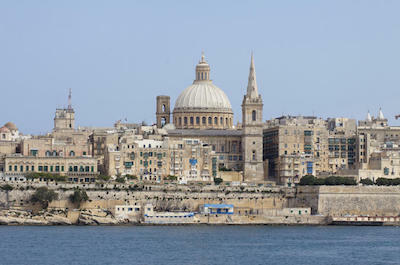 After being destroyed during World War Two the Valletta Waterfront has been restored to its original grandeur. Today one can find duty-free shopping, numerous restaurants and entertainment venues or you can simply stroll along the waterfront while watching the sunset. 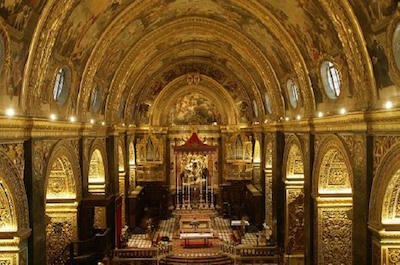 When you want to see one of the more ornate churches in world then a great Malta attraction for you to visit is the St. John Co-Cathedral. Located in Valletta, St. John’s Co-Cathedral was completed in 1577 with Mannerist architecture on the exterior which is complete with two bell towers and Doric columns. The interior of St. John’s Co-Cathedral is finished in a Baroque style that features 400 marble tombstones on the floor that commemorate hundreds of prominent Knights of St. John. There are ornate arches with gilt and the ceiling portrays the life of St. John the Baptist as well as other biblical scenes. One of the more popular Malta attractions for travelers that want to be intrigued by the history of a 4,000 year old city is to go to Mdina Old City. Centrally located on the island, the Mdina Old City was founded by the Phoenicians in 700 B.C.E. 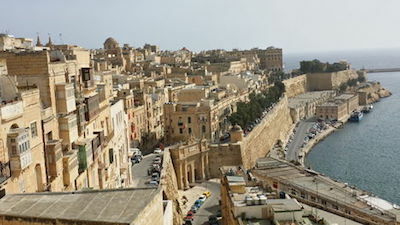 and would later become the first capital city of Malta. Mdina Old City is packed with beautiful medieval and Baroque style architecture with places such as the Palazzo Falson and St. Paul’s Shipwreck Cathedral. The ancient city is famous for being the place that St. Paul lived after he was shipwrecked in 60 C.E. Visiting the Mdina Main Gate is an interesting thing to do in Malta for travelers that want to view an ornate structure and an iconic pop culture item. Located in Mdina, the Mdina Main Gate was constructed in 1724 with a Baroque style and has an arched stone bridge leading up to the gate with ornate lions. The Mdina Main Gate is adorned with several coats of arms while the rear of the gate features statues of St. Paul, St. Agatha and St. Publius. 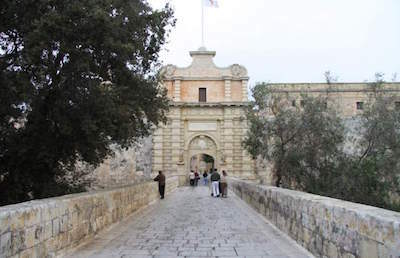 In pop culture the Mdina Main Gate was used in the filming of an episode of the television series Game of Thrones. 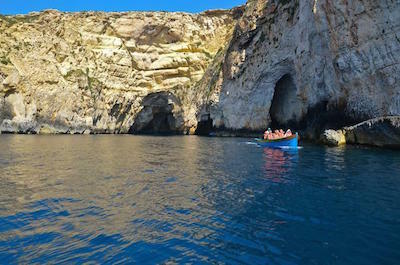 A trip to the Blue Grotto is an excellent thing to do in Malta for travelers that like to witness natural wonders. Located on the southwest coastline of the island near Wied iz-Zurrieq, the Blue Grotto consists of complex of nine caves which have rocks that glow orange, green and purple based on their minerals composition. The clear blue sea that surrounds the Blue Grotto is another reason to visit where the white sands of the sea floor reflect the blue sky from above making the water look almost transparent. When you are interested in yachts, historic architecture and picturesque waterfronts then a great Malta attraction is to visit the Three Cities-Vittoriosa, Senglea and Cospicua. 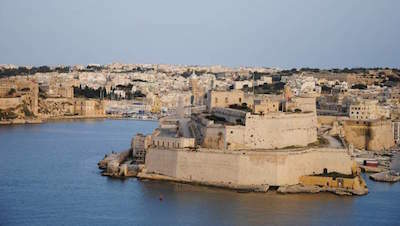 Located along the southeast side of the Grand Harbour facing Valletta, the Three Cities-Vittoriosa, Senglea and Cospicua were mainly occupied by the Knights of St. John during 1530 until 1570. These waterfront neighborhoods housed the knights by nationality with auberges, dining rooms and chapels surrounding a courtyard. Today you can view the impressive yachts at Senglea and Cospicua that bob in the water and the historic architecture of Vittoriosa is amazing. 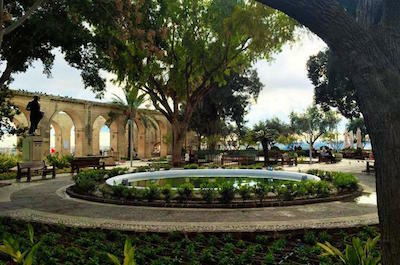 One of the most popular things to do in Malta for travelers that like to stroll through a garden area which provides for perfect photographic opportunities is to stop at the Upper Barrakka Gardens. 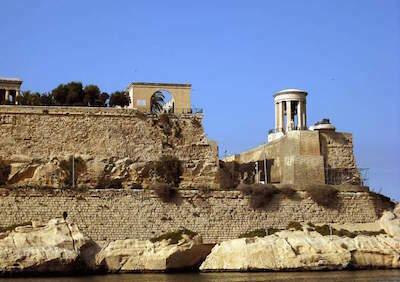 Located at Barriera Wharf overlooking the Grand Harbour, the Upper Barrakka Gardens were constructed in 1775 on the highest point of Valletta’s battlements and offer stunning views of the Three Cities-Vittoriosa, Senglea as well as Cospicua. 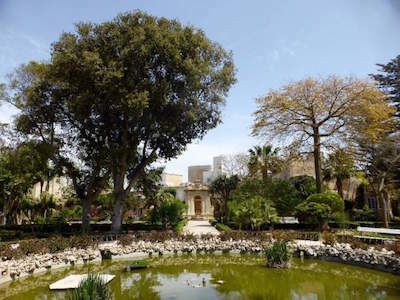 Once at the Upper Barrakka Gardens there is a statue of Winston Churchill, numerous shady trees with resting benches and a cafe for refreshments. Sunsets are particularly beautiful here as the skies turn pastel colors above the Grand Harbour. 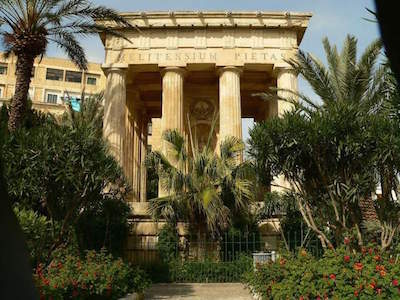 If you are searching for a tranquil area to enjoy a beautiful garden, several monuments and gaze out over the Grand Harbour then a perfect Malta attraction is the Lower Barrakka Gardens. Located at Barriera Wharf along the Grand Harbour, the Lower Barrakka Gardens are a masterpiece of flowers, fountains and trees with shaded areas to relax. When you are at the Lower Barrakka Gardens you will find vistas from the Grand Harbour to Fort St. Angelo as well as to the Three Cities-Vittoriosa, Senglea and Cospicua. The gardens have a Neo-classical monument to Sir Alexander Ball as well as numerous markers in remembrance of events such as the Prague Spring of 1968. If you are seeking an easy way to enter the city of Valletta as well as view luscious gardens and great vistas then an ideal thing to do in Malta is to take the Barrakka Lift. 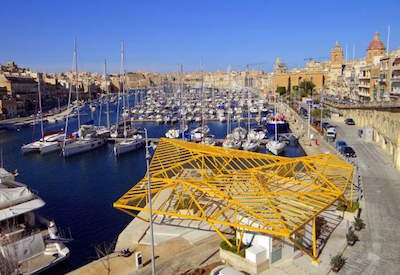 Located at Barriera Wharf, the Barrakka Lift connects the Upper Barrakka Gardens to the Grand Harbour allowing for patrons to easily access Valletta. The Barraka Lift was originally operated from 1905 to 1973 and was replaced by a new lift in 2012. 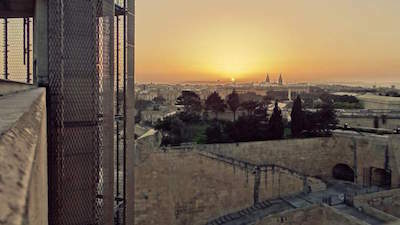 The Barrakka Lift travels 180-feet into the air while carrying 21 passengers and can reach the Upper Barrakka Gardens in less than 30-seconds. When you want to see the crown jewel of historic architecture on the island then the perfect thing to do in Malta is to visit the Auberge de Castille. Located in the heart of Valletta, the Auberge de Castille was originally finished in 1574 in a Mannerist style and was used to house the powerful Knights of St. John from Spain and Portugal. 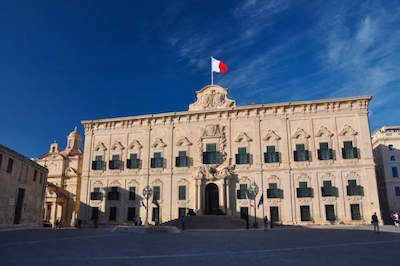 Later remodeled in 1741 in a Spanish Baroque style the Auberge de Castille is now home to the Prime Minister of Malta. The Auberge de Castille has a beautiful symmetrical facade with eleven bays, ornate windows and rusticated corners as well as two historic cannons at the entrance. One of the more popular Malta attractions for travelers to visit is the Grand Harbour. Located adjacent to Valletta, the Grand Harbour is the deepest natural harbor in the Mediterranean Sea and has been used since the times of the Phoenicians. 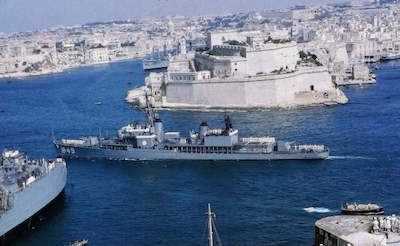 The Grand Harbour has played an important role in Malta’s seafaring and military history and has been comprehensively fortified over the centuries. The harbor was instrumental during the 1565 Great Siege of Malta and played a strategic role for the Allies during World War Two. Today, there is less commercial shipping out of the harbor but patrons still enjoy numerous watersport activities on the calm waters. When you want to see the most important place involved in the 1565 Great Siege of Malta then a superb thing to do in Malta is to plan a stop at Fort St. Elmo. Located in Valletta on the Sciberras Peninsula, Fort St. Elmo was constructed from 1552 to 1570 in a star shape and protected the Grand Harbour as well as Marsamxxett Harbour. Fort St. Elmo was instrumental during the 1565 Great Siege of Malta and the fort can be viewed from the exterior on walking tours. The inside of the fort houses the National War Museum which specializes in 20th century World Wars artifacts. If you are interested in viewing one of the greatest moments in Malta history in a fun family setting then a great Malta attraction for you is the Great Siege of Malta and the Knights of St. John. Located in Valletta, the Great Siege of Malta and the Knights of St. John is an entertaining series of multimedia exhibits which focuses on the heroic stance of the Knights of St. John against the Turkish Ottoman Empire invaders. The exhibition utilizes numerous dioramas complete with gory battle scenes and sound effects to tell the story. Visitors will also learn about the history of the Knights of St. John who were originally known for medical services. If you are a first timer to the island and want to learn more about the interesting history of the island then the best thing to do in Malta is to view the Malta Experience. Located within Fort St. Elmo in Valletta, the Malta Experience is a 45-minute film production that details the history of the island over a 7,000 year period. While you are watching you can expect to learn about the megalithic temples of prehistoric times, the 1565 Great Siege of Malta, the Knights of St. John and Malta’s intricate role during World War Two. When you want to visit a lively market and view colorful traditional fishing boats then a superb thing to do in Malta is to plan a trip to Marsaxlokk. Located on the southeastern coastline of the island, Marsaxlokk has been featured in many films and is a perfect place for photographs. 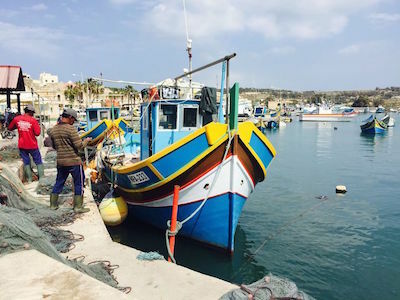 Once here you can expect to see hundreds of colorful luzzus which are a Phoenician style fishing boats that are painted yellow, red and blue. Sundays are particularly festive with an open air market that attracts hundreds of vendors as well as buyers. 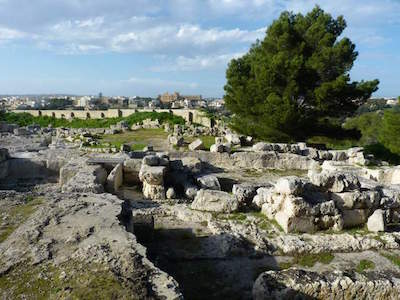 One of the best things to do in Malta for travelers searching to learn more about the prehistoric people of Malta is to stop at the Tarxien Temples. Located in Tarxien south of Valletta, the Tarxien Temples consist of four structures that were constructed during the time period of 3,600 B.C.E. to 2,500 B.C.E. and are listed as a UNESCO World Heritage Site. The Central Temple at Tarxien Temples has a six apse layout and the possibility of an arched roofed. The South Temple was constructed with the most details and was reused during the Bronze Age between 2,400 B.C.E to 1,500 B.C.E. When you want to see numerous super yachts of the rich and famous then the perfect Malta attraction for you is to go to the Msida Marina. Located adjacent to Ta’Xbiex in the Marsamxett Harbour, the Msida Marina has space to berth 720 boats as well as boats that are up to 72-feet in length. The marina is packed with glittery yachts owned by the wealthy and a few colorful traditional fishing boats called luzzus. Once there you can find plenty of places to eat and watch the boats go by in the water. If you are searching for a peaceful tranquil place that features hundreds of flowers, trees and animals then a perfect thing to do in Malta is to stop at the San Anton Gardens. 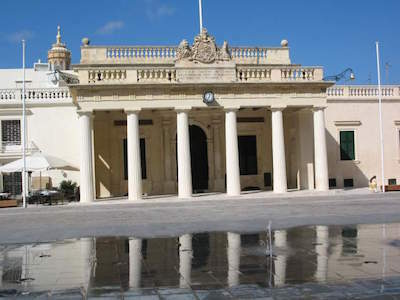 Located in Attard, the San Anton Gardens surround the current home of the Maltese President which was constructed in 1636 and has an Italianate style. 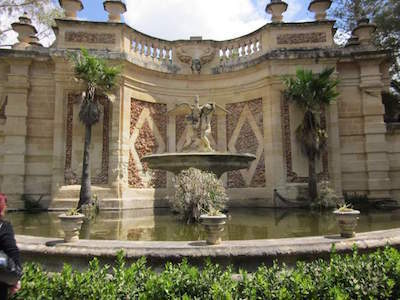 The San Anton Gardens have a formal Italianate style with nice walkways, numerous sculptures and fountains. Children will enjoy a small aviary and a petting farm along with ponds that are filled with koi fish as well as turtles. 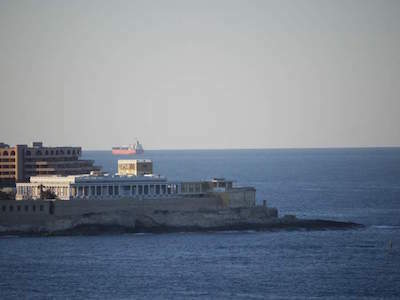 When you want to view incredible architecture and brush elbows with numerous diplomats from around the world then the best Malta attraction for you is a trip to Ta’Xbiex. 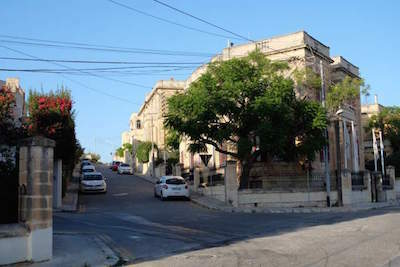 Located between Gzira and Msida along the Marsamxett Harbour, Ta’Xbiex is an upscale area where you will find several embassies from around the world housed in numerous ocher-colored mansions, palazzi and villas. There is a harbor front promenade that stretches from St. Julian’s to Pieta that passes through the marina and you can even catch a glimpse of the 1909 wooden schooner named the Black Pearl which was featured in the movie Popeye. The most popular Malta attraction for families that are interested in viewing hundreds of marine life species in a fun interactive setting is to take a trip to the Malta National Aquarium. Located in St. Paul’s Bay, the Malta National Aquarium has more than 40 tanks replicating the waters surrounding Malta which contain marine life as well as wildlife from around the world. 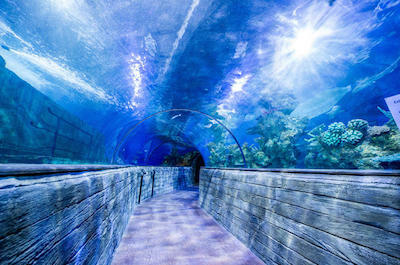 The Malta National Aquarium holds daily educational shows geared towards the conservation of marine life and you can even stroll through a glass tunnel, pet a shark or just enjoy the play area. 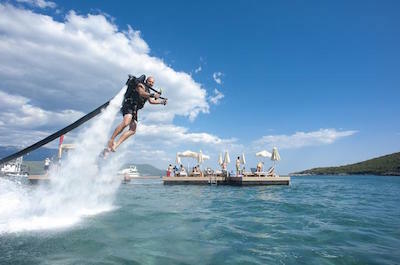 If you are interested in an adrenaline packed Malta attraction that is great for all types of travelers including families then you should try Jetpack Flying. These excursions will have you soaring up to 30-feet above the blue and turquoise waters of the Mediterranean. You will be thrilled with the experience as you view the natural and built environment from a different vantage point as you navigate your water propelled flying machine. You don’t have to be an expert and you will receive expert training before you are sent into the wild blue yonder by yourself or with a family member. 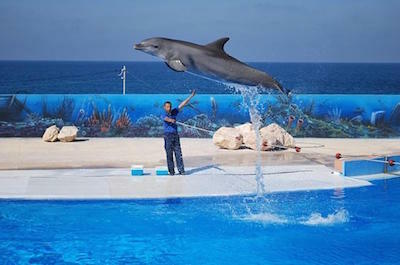 One of the best things to do in Malta for families who like to learn about wildlife and swim with dolphins is to make a stop at the Mediterraneo Marine Park. Located in Naxxar, the Mediterraneo Marine Park features numerous animals and marine life from around the world in a fun and educational setting. Once you are at the Mediterraneo Marine Park you will find live performances from sea lions, dolphins and parrots. The marine park is home to everything from snakes to frogs to blue macaws to sea lions and there are options to swim with a bottle nosed dolphin. When you want to view some of the finest automobiles and motorcycles produced in the world then an ideal thing to do in Malta is to plan a trip to the Malta Classic Car and Motorcycle Museum. 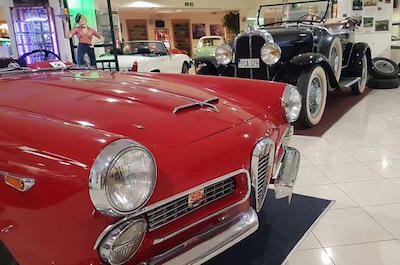 Located in St. Paul’s Bay, the Malta Classis Car and Motorcycle Museum has over 32,000-square feet of space with around 100 exhibits featuring cars ranging from Fiats to Jaguars to Fords to Spitfires. The museum is packed with interesting antiques and memorabilia from several decades including jukeboxes, fashion clothing as well as vintage televisions. 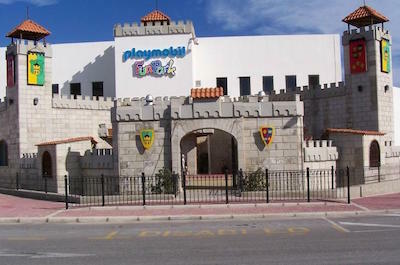 If your family is interested in learning more about the production of toys then visiting the Playmobil FunPark is a great thing to do in Malta. Located in Birzebugga, the Playmobil FunPark will bring a smile to everyone’s face that has ever played with the iconic 7.5-centimeter figure. Once there you can view the process of making these ingenious toys at a live factory before setting out into the Playmobil FunPark which has numerous themed areas that are packed with fun toys for the kids and adults. If you like to see one-of-a-kind historic artifacts then a superb Malta attraction for you is to visit Fort Rinella. 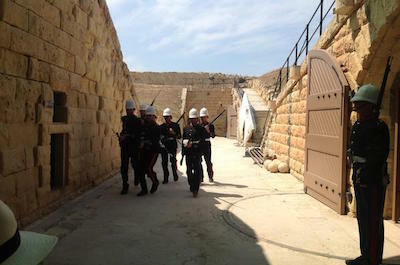 Located in Kalkara, Fort Rinella is a Victorian battery that was constructed in 1878 and offers a glimpse into the past with living history re-enactments as well as numerous interactive exhibits. 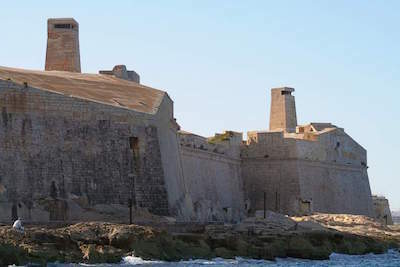 Fort Rinella also is home to an Armstrong 100-ton cannon which is one of two such cannons still in existence. The 100-ton cannon is the largest muzzle-loading cannon ever made and when shot could reach distances of eight miles while piercing 21-inches of armor on a ship. 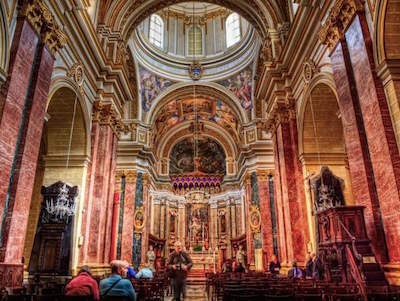 Visiting the Rotunda of Mosta also known as the Parish Church of the Assumption is a perfect thing to do in Malta for travelers that like engineering and historic architecture. 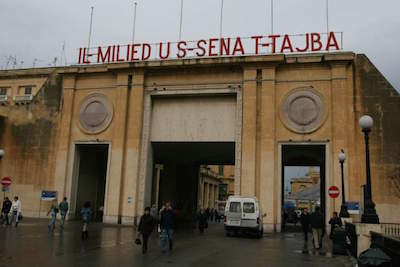 Located in Mosta, the Rotunda of Most was completed in 1680 with a Neo-classical style that mimics the Pantheon in Rome. The facade contains six Ionic columns which are bookended by two bell towers. The outer walls are 30-feet thick which support the free-standing rotunda which is believed to be the third largest in the world. Inside the church is ornately decorated with paintings, gilt and plenty of marble. 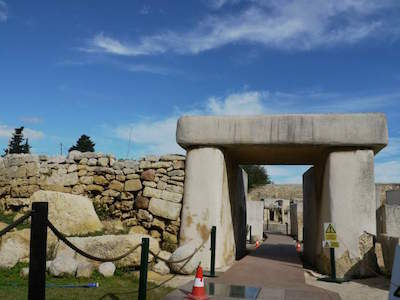 One of the more popular things to do in Malta for travelers interested in ancient megalithic temples is to plan a stop at the Hagar Qim Temples. Located on the southern coastline of the island, Hagar Qim Temple is a complex of structures that are believed to have been constructed between 3,600 B.C.E. and 3,200 B.C.E. which makes them some of the oldest free-standing structures in the world. Listed as a UNESCO World Heritage Site the northern temple is the oldest portion of the site and there are stones on the facade that weigh 57 tons while other stones are over 17-feet high. 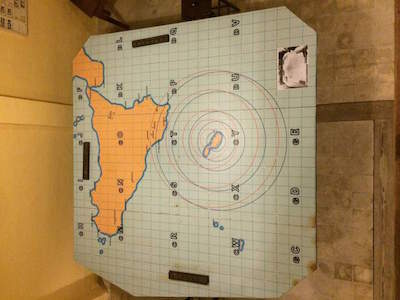 If you want to see one of the best kept secrets in Malta during World War Two then a great thing to do in Malta is to visit the Lascaris War Rooms. Located 150-feet under the Upper Barrakka Gardens and the Saluting Battery, the Lascaris War Rooms is a vast complex of tunnels and chambers that were used by the Brit’s as well as Allies during World War Two. Within the complex you will find rooms for all branches of the military from the navy to air force to the army. The rooms feature artifact filled exhibits that help explain the role that Malta played during the war. The Casa Rocca Piccola is a perfect Malta attraction for people who want to learn and view more about the lifestyle that noble families lived in the 16th century. Located in the heart of Valletta, the Casa Rocca Piccola was constructed in 1580 with 50 rooms and is packed with interesting period furnishings throughout the home. Also within the house is an extensive archival collection that illustrates the family’s business ventures and the Casa Rocca Piccola has one of the largest collections of antique costumes as well as the largest collection of Maltese Lace on the island. One of the more popular things to do in Malta for World War Two history buffs and travelers of all types is to go to the Malta at War Museum. 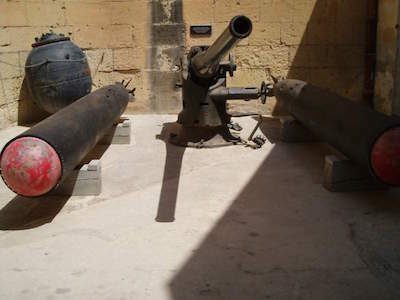 Located in Vittoriosa in Birgu, the Malta at War Museum is housed in an 18th century army barracks which is situated on top of a large underground air raid shelter which is also part of the museum experience. Inside the Malta at War Museum you can view hundreds of artifacts that range from weaponry to uniforms to photographs to newsreels which are used to form numerous interactive exhibits. If you like to view remnants of life during World War Two then an ideal thing to do in Malta is to make a stop at the Mellieha Air Raid Shelter. Located in the heart of Mellieha, the Mellieha Air Raid Shelter consists of a 1,500-foot long complex that is almost 40-feet underground and was completely dug by hand. Inside the complex you will find an anti-blast room, private rooms that housed families, an area to protect national treasures and there is a maternity section. The Mnajdra Temples are one of the more interesting things to do in Malta for travelers that like learning about prehistoric history and viewing ancient structures. Located on the southern coastline of the island, the Mnajdra Temples consists of four megalithic temples which were constructed between 3,600 B.C.E. and 2,500 B.C.E. The temples are listed as a UNESCO World Heritage Site and are thought to be some of the oldest free-standing structures that still exist in the world. The South Temple is situated to reveal the position of the sunrise at the beginning of each season throughout the year. If you are looking for commanding views of the Ghadira Bay, Gozo and Comino then a perfect Malta attraction for you is the St. Agatha’s Tower also known as the Red Tower. Located on Marfa Ridge in Mellieha, St. Agatha’s Tower was constructed in 1649 with a square floorplan that included for corner towers and 12-feet thick outer walls. 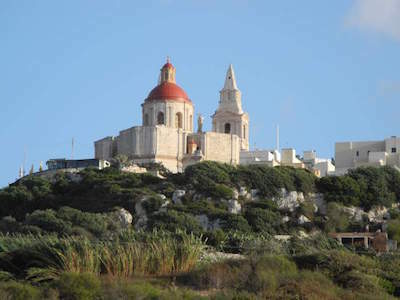 Inside there is a chapel dedicated to St. Agatha and once on top you will enjoy views of Mellieha Bay, the Ghadira Nature Reserve and the islands of Gozo as well as Comino. Photo by baba_1967 on Flickr. One of the more beautiful and ornate Malta attractions is the Metropolitan Cathedral of Saint Paul. Located in Mdina, the Metropolitan Cathedral of Saint Paul was constructed between 1698 and 1705 with a Baroque architectural style which is topped by two bell towers as well as octagonal dome. The inside of the Metropolitan Cathedral of Saint Paul is ornate with numerous frescoes of St. Paul, stained glass windows and the floor is inlaid with marble blocks that have memorial markings. There is also the Cathedral Museum located onsite which is home to set of 15 silver and gold statues of the Apostles, engravings by Rembrandt, a large collection of silver items and a rare coin collection that covers 2,000 years. 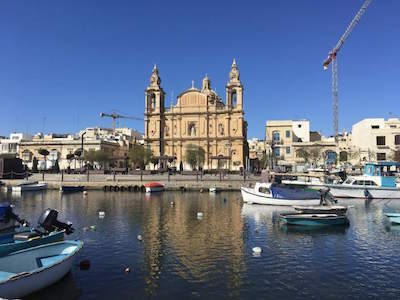 The Parish Church of Mellieha is a fantastic Malta attraction for travelers including families that want to view the grandeur of this historic church and parish. Located in Mellieha, the Parish Church of Mellieha was constructed from 1881 to 1898 with Baroque style architecture and features to enormous bell towers. The Parish Church of Mellieha is dedicated to the Nativity of the Virgin Mary and once inside you will view plenty of gilt, paintings and statues which were crafted by local artisans. When you want to view magnificent birds of prey in flight then a must thing to do in Malta is to plan a stop at the Malta Falconry Centre. Located in Siggiewi, the Malta Falconry Centre is instrumental in the reintroduction of the ancient art of falconry in Malta which has existed since the 13th century. 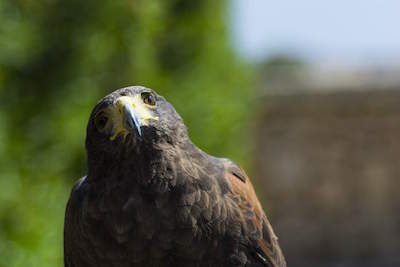 Once at the Malta Falconry Centre you will view numerous free flying demonstrations from these highly trained birds of prey as well as learn more about the conservation methods used in reintroducing the birds of prey on Malta. The onsite aviary houses over 20 species of birds of prey that range from the Saker Falcon to the Peregrine Falcon also known as the Maltese Falcon. The Church of Saint Paul’s Shipwreck is one of the more ornate and historic Malta attractions and is perfect for all types of people. Located in the heart of Valletta, the Church of Saint Paul’s Shipwreck was originally constructed in the 16th century and today features a Baroque style facade that was constructed in the 19th century. The Church of Saint Paul’s Shipwreck is packed with marble, gilt and numerous frescoes of St. Paul as well as two relics of him which include a wrist bone. The altar piece is adorned in silver while the dome features frescoes of biblical scenes and there a large organ. One of the more interesting things to do in Malta for people that want to learn more about the prehistoric culture and history of Malta. Located in Valletta, the National Museum of Archaeology is situated within the Auberge de Provence which is a 16th century Baroque style building that was home to Knights of the Order of St. John. Once inside the National Museum of Archaeology you can view thousands of artifacts from the Neolithic period (5,000 B.C.) to the Phoenician period (400 B.C.). The museum is home to several unique artifacts found on the island such as the 5,000 year old statue the Sleeping Lady, Fat Statues found at Neolithic temples as well as hundreds of artifacts that range from pottery to tools. The Sanctuary of Our Lady of Mellieha is a superb Malta attraction that is a nice example of historic architecture and you will be treated to great views of the surrounding area. Located in Mellieha overlooking Mellieha Bay, the Sanctuary of Our Lady of Mellieha was constructed in 16th century with a Renaissance architectural style and includes a Byzantine style fresco that features the Blessed Virgin Mary holding Christ. Also onsite is a Monumental Arch, a belfry with numerous bells, a statue of St. Anne, the Our Lady of the Grotto statue and there is a Crypt of Our Lady of Mellieha where the fresco resides. When you want to view and learn more about the aviation history of Malta then an ideal thing to do in Malta is to visit the Malta Aviation Museum. 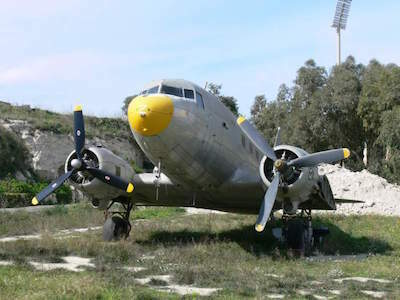 Located in Ta’ Qali, the Malta Aviation Museum is composed of three hangars that are packed with aviation artifacts that explain the aviation history of Malta primarily during and after World War Two. Once inside the Malta Aviation Museum you can view hundreds artifacts that range from airplanes to airplane engines to airfield equipment. Also within the exhibits are aircraft weaponry, propellers, uniforms and numerous plaques as well as badges. 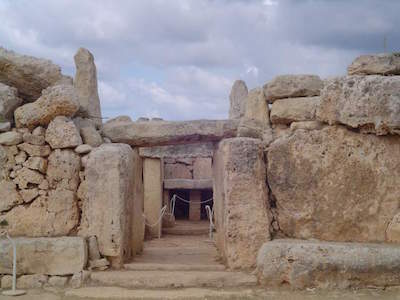 Making a trip to the Hal Saflieni Hypogeum is a unique thing to do in Malta for people who like to learn more about the culture of prehistoric living. 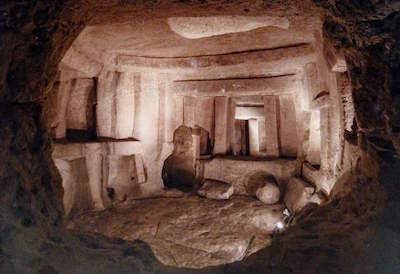 Located in Paola, the Hal Saflieni Hypogeum is a three-level underground prehistoric burial site that dates to 4,000 B.C. and is listed as a UNESCO World Heritage Site. 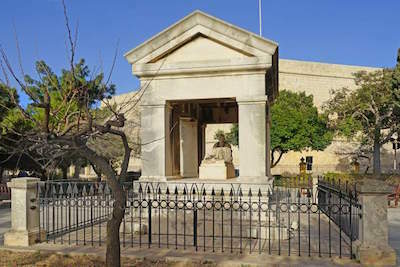 The Hal Saflieni Hypogeum contains more than 7,000 human remains within the interconnecting chambers. The chambers are filled with intricate rock carvings of megalithic temples and red ochre wall paintings that depict living conditions as well as structures of the area. If you want to experience the history of the island in a new exciting format then a great thing to do in Malta is to stop at Malta 5D. 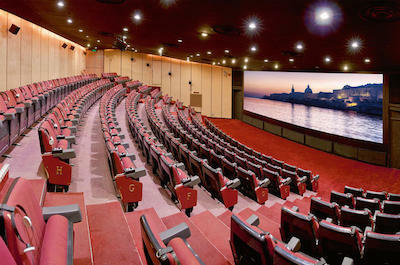 Located in the center of Valletta, the Malta 5D is a new generation movie theater where you can watch a thrilling 3D motion picture about the history and culture of Malta. 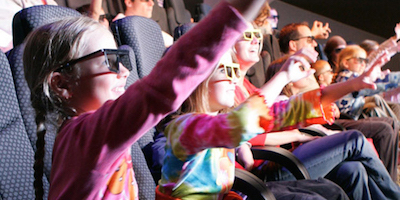 During the show you will be delighted with air blasts, leg ticklers, water spray and moving seats that help make the presentation come to life. An added bonus to visiting is viewing the exhibit of artwork by local artisans in the foyer before you enter the movie theater. If you are interested in viewing one of Valletta oldest standing buildings then an ideal thing to do in Malta is to take a trip to the Grandmaster’s Palace. 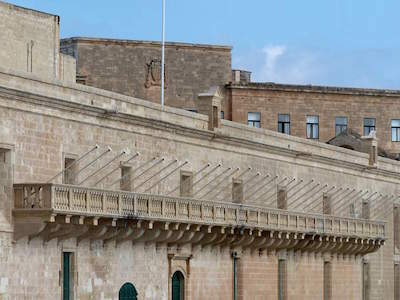 Located along a full city block in the heart of Valletta, the Grandmaster’s Palace was first constructed in the 1570s with an asymmetrical Mannerist style. The Grandmaster’s Palace is the current home of the President of Malta and contains several galleries which include 18th century Baroque frescoes, the only intact and complete set of 18th century French Gobelins tapestries in the world, a visual narration of the Great Siege of 1565 as well as one of the armory which contains a collection of weapons from swords to cannons to personal armor. Photo by Stuart Chapman on Flickr. Many travelers enjoy visiting memorials while on vacation and the Siege Bell War Memorial is a perfect thing to do in Malta to reflect on the lives of those who served in World War Two. Located in the bastion of St. Christopher overlooking the harbor and Valletta, the Siege Bell War Memorial is a tribute to the 7,000 soldiers who died protecting the island during World War Two. The Siege Bell War Memorial consists of a large bronze bell within a limestone kiosk and is adorned with numerous plaques as well as a bronze soldier statue which are dedicated to members of the armed service of England that protected the island. If you are looking for the ideal place to watch a sunset then a superb thing to do in Malta is to visit the Dingli Cliffs. Located near the town of Rabat along the western coastline of the island, the Dingli Cliffs stretch from Bahrija to Munqar near the Blue Grotto. 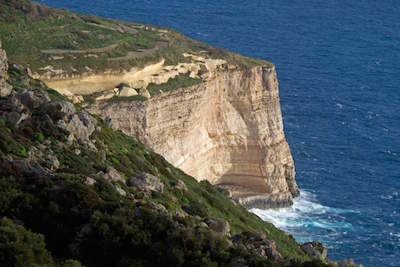 The cliffs are the highest point on the island at over 800-feet and are considered to be a natural fortification for the western shores of Malta. From atop you can view the sunset or stroll while you view the tiny island of Filfia and you can visit the small chapel that is dedicated to St. Mary Madgalene. The Palazzo Parisio and Gardens is an excellent thing to do in Malta when you are seeking a place where you can find tranquility amongst a beautiful manicured garden and learn about the lifestyle of nobility. 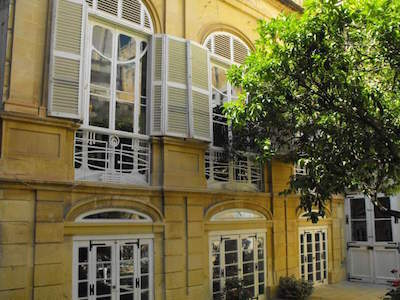 Located in Naxxar, the Palazzo Parisio and Gardens were constructed from 1900 to 1907 with an Art Nouveau architectural style and includes an interior primarily based on a Baroque style. The Palazzo Parisio and Gardens contains numerous statues of marble, chandeliers, frescoes, columns as well as gilded work. The gardens have over 65 species of hibiscus and an orange grove with winding pathways that are filled with plenty of tranquility for you to enjoy. Also onsite is the Luna Restaurant which serves all three meals as well as afternoon tea service. The Valletta City Gate is an ideal Malta attraction for all types of travelers that want to view one of the more important features of the city. Located within the Porta Reale Curtain in the center of the Valletta Land Front, the current Valletta City Gate is actually the fifth to be constructed in the last 450 years. Designed by Renzo Piano the Valletta City Gate features a breach in the bastions bookended by large stones and has similar attributes to the Egyptian Temple of Edfu. One of the best things to do in Malta for learning about the medieval days of the island is to take a trip to the Knights Hospitallers. Located in Valletta underneath the Mediterranean Conference Centre, the Knights Hospitallers are explained with life-size exhibits about the Order of St. John also known as the Knights of Malta. The Knights Hospitallers originated as the Hospitaller Order of Chivalry and operated within the Holy Infirmary giving necessary care to injured soldiers during the Crusades and the Great Siege of Malta. As you walk through the exhibits you will learn about the development of medicine as well as healthcare in which helped propel the Knights Hospitallers to fame. Fort Saint Angelo is one of the most revered places in Malta history and is an outstanding Malta attraction for history buffs as well as for viewing historical architecture. Located in Vittoriosa within the Grand Harbour of Birgu, Fort Saint Angelo is believed to have been first constructed in the 12th or 13th century as a castle and was later turned into a fort. Fort Saint Angelo is dear to many Maltese citizens for the role of protecting Malta during the Great Siege of Malta in 1565 C.E. 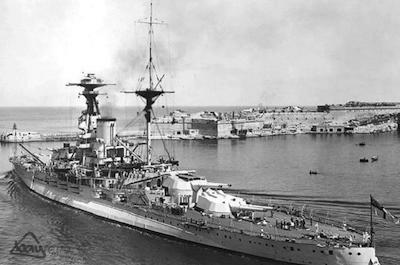 as well as the siege of Malta during World War Two. The fort is also believed to be haunted by the Grey Lady a mistress to De Nava who was killed and buried within the fort’s dungeon. If you like the adrenaline rush of gambling or simply want to try your luck then an ideal Malta attraction is the Dragonara Casino. 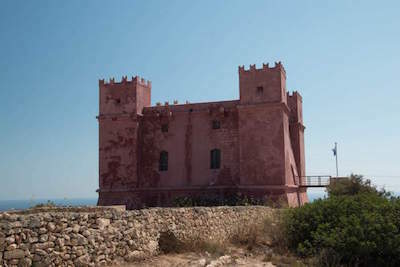 Located in St. Julian’s on Dragonara Point, the Dragonara Casino is housed within the Dragonara Palace which was constructed in 1870 with a Neo-classical architectural style. The casino offers 24/7 gaming with over 300 slot machines, a sports lounge, VIP-lounge for high-rollers, a poker room and 15 live tables. Also onsite is the Brasserie Restaurant and you can listen to live entertainment at the Piano Bar. If you like to visit quiet places that offer big views and interesting monuments with superb architecture then a great thing to do in Malta is to go to the Hastings Gardens. Located west of the city gate within Valletta, the Hastings Garden was constructed for Lord Hastings who was a British governor of Malta and was later buried within the garden in a Neo-classical style monument. Once at the gardens you can enjoy grand views of the area including Siliema, Msida, Marsamxett Harbour and Manoel Island. When you want to view the ruins of an ancient Roman house while viewing stunning mosaics and precious artifacts then an ideal thing to do in Malta is to visit the Domus Romana. Located between Mdina and Rabat, the Domus Romana was constructed during the 1st century B.C.E. and was discovered in 1881 with a museum constructed onsite in 1922. The Domus Romana allows patrons a glimpse into the life of a Roman aristocrat through a series of exhibits as well as Roman artifacts that explain the roles within a Roman family and household. Expect to see hundreds of artifacts, two mosaics and a peristyle as well as a set of marble statues of Emperor Claudius for you to see. 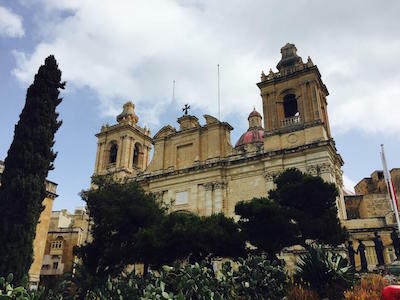 One of the more interesting things to do in Malta for travelers that like historic architecture, culture and learning about history is to take a trip to the Inquisitor’s Palace also known as the Sacred Palace. Located in the Birgu area within Vittoriosa, the Inquisitor’s Palace was constructed in the 1530s with a Roman palazzo architectural style and currently is home to the National Museum of Ethnography. 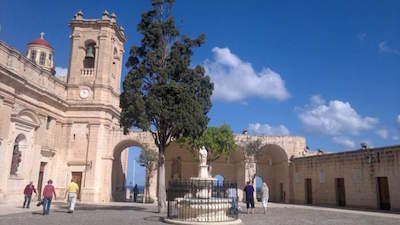 The Inquisitor’s Palace was used for the Inquisition in Malta from 1574 with the arrival of Pietro Dusina to 1798 when Napoleon arrived on the island. The palace has many period furnished rooms for you to view and there are exhibits on the impact of the Inquisition in Malta. The Ta’Qali Craft Village is the best Malta attraction for travelers looking for that special souvenir to take home with them. 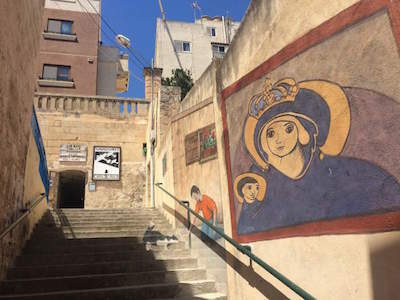 Located in Attard, the Ta’Qali Craft Village is situated on an old World War Two airfield and is a superb place to find arts as well as crafts that are made by the local artisans of Malta. Once you are at Ta’Qali you can watch glass blowers, lace makers as well as artisans making pottery and filigree silverware. The quality of the items sold here is tremendous and you can be assured that your souvenir is an authentic Malta treasure. An interesting thing to do in Malta for travelers including families that want to learn more about the postal system of the island is to visit the Malta Postal Museum. Located in Valletta, the Malta Postal Museum uses a series of exhibits to explain the history of Malta’s postal system which dates back to the 16th century and the Order of St. John in Malta. Once inside you can view artifacts that range from stamps to postal vehicles to photographs to uniforms that are relevant to the postal history of Malta. Children will also like specific areas for them which include puzzles and several games. 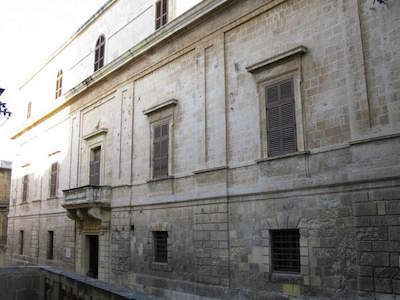 If you are fascinated by medieval architecture as well as wanting to view a fine collection of period furnishings, artifacts and artwork then superb thing to do in Malta is to plan a trip to the Palazzo Falson Historic House Museum. Located in Mdina, the Palazzo Falson Historic House Museum was originally constructed during the 13th century with a Siculo-Norman architectural style. Inside the Palazzo Falson House Museum contains 45 collections including 4,500 books, over 200 paintings, 800 pieces of silverware, 80 oriental rugs as well as several collections that range from smoking pipes to weaponry to whistles. If you are interested in experiencing a history lesson within a haunted house/museum type setting then a great thing to do in Malta is to stop at the Mdina Dungeons Museum. 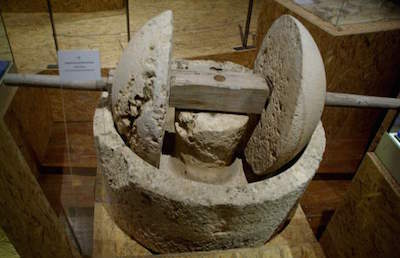 Located near the main gate to Mdina underneath the Magisterial Vilhena Palace, the Mdina Dungeons Museum is centered on the horrific events in Malta’s 7,000 year history. As you walk through the underground passages you will encounter life size exhibits of torture that range from the Romans to the Byzantine to Arabs to the Knights. Don’t be surprised if you witness a beheading or public execution as punishment for a crime within the terrifying exhibits.